Flow with yoga and breath to unleash your creativity. 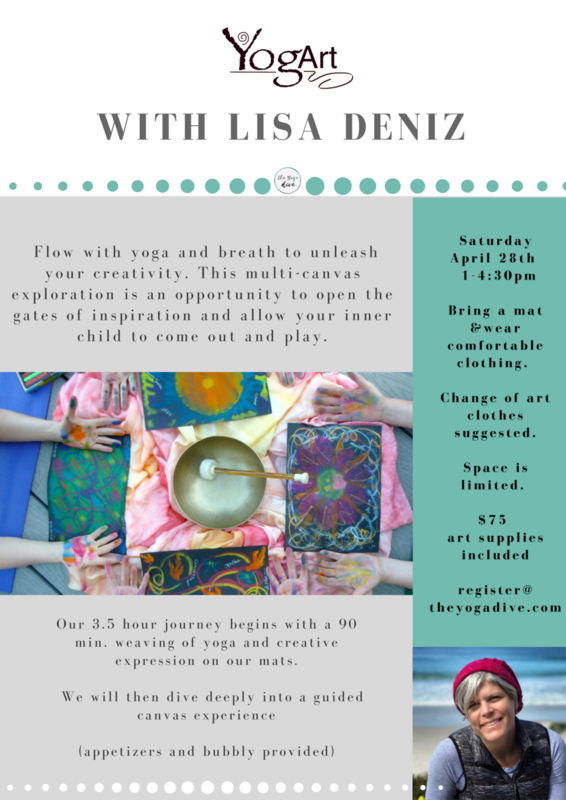 This multi-canvas exploration is an opportunity to open the gates of inspiration and allow your inner child to come out and play. This workshop is designed for people who consider themselves artists, and those who do not but are open to playing. Our 3.5 hour journey begins with a 90 minute weaving of yoga and creative expression on our mats. We will then dive deeply into a guided canvas experience. Appetizers and bubbly provided. Art supplies included. Bring a mat & wear comfortable clothing. Change of art clothes suggested.